Zimbra is very new in market & but had already manage to create a niche client base for itself. The features offered by Zimbra are new & unique, which most users are liking. This application is very suitable for business users & professional users. 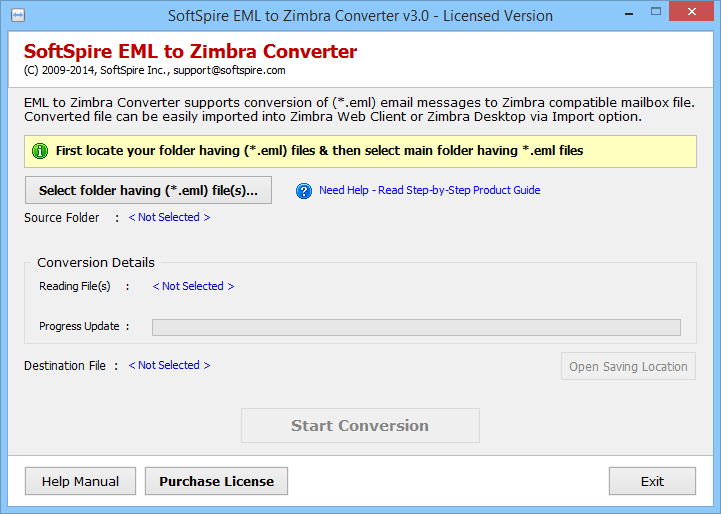 The good news for Thunderbird users looking for a way to move emails to Zimbra, now they can complete this task with EML to Zimbra Converter. When drag & drop Thunderbird emails are saved in .eml format, which this software will save in TGZ format, hence readying them for users to import in Zimbra. The tool will save the emails with complete details which will include the layout of the emails, as well as the attachment files of EML.